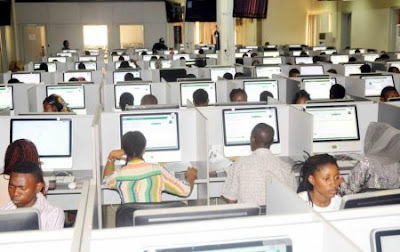 The Senate on Wednesday said it has suspended the amendment of the Act establishing the Joint Admissions and Matriculation Board (JAMB) in order to allow for adequate consultation with stakeholders. The red chamber had approved the extension of the validity of the results of the Unified Tertiary Matriculation Examinations (UTME) being conducted by JAMB to three years. The decision, the senate had said, was granted to reduce the financial burden of the examination on parents, students and JAMB. Chairman, Senate Committee on Education (Basic and Secondary), Senator Aliyu Wamakko, confirmed the suspension to reporters during an oversight visit to the headquarters of JAMB in Abuja. Wamakko, who was represented by Senator Ajayi Boroffice, stated that the senate would not make any laws that would impede on the progress of any institution. He said: “Your JAMB result is only valid for one year and we thought it will be better for it to be valid at least for three years. It will reduce the burden on the parents, on the students themselves even on the institution that is conducting the test. I think it is what is good for all of us and I don’t think the public will reject it. Responding, JAMB Registrar, Is-haq Oloyede, said he was happy the senate listened to its appeal to suspend the amendment of its Act.